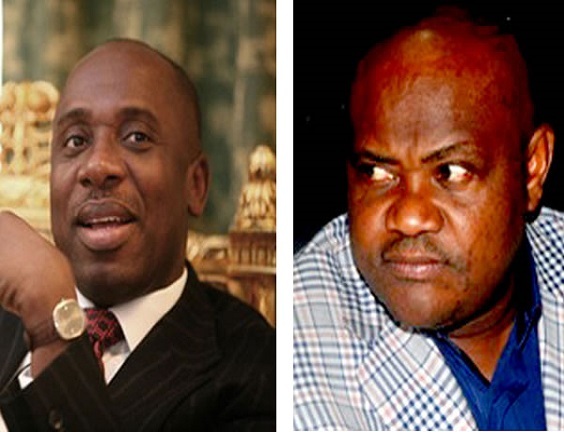 Governor of Rivers State, Nyesom Wike, has reacted to a statement released by his predecessor Rotimi Amaechi over the award he planned giving past leaders of the state today, to commemorate Rivers at 50 celebration. In the statement released on behalf of Gov. Nyesom Wike by the Rivers state commissioner of information, Austin Tam-George, the Commissioner expressed “relief on the news of the rejection of a proposed State award, by a former governor of the State, and current Minister for Transportation, Mr Rotimi Amaechi”. “We wish to emphasise that the award was never meant as a validation of Mr Amaechi’s horrendous administration. Mr Amaechi was personally indicted for stealing billions of public funds during his time in office, by a court-approved panel of inquiry set up by the state government. The government will soon initiate a prosecutorial process against him in multiple jurisdictions, in Nigeria and abroad. And no award would have stopped that process. We must confess that as a government, we wrestled with the moral horror of giving any kind of award to a man whose government was no better than a criminal syndicate. Mr Amaechi may be a scoundrel of history, but he was once a governor of the state. The proposed award was to serve as a sad acknowledgement of the especially dark place he occupies in our State’s otherwise illustrious history.